For financial institutions, however, FOMO can serve as an effective motivator for improvement as you evaluate your bank’s products, services and customer satisfaction in relation to your competition. Take digital lending technology, for instance. Digital lending is the end-to-end, cloud-based technology that automates the entire lending process—from application and underwriting to set up, review and renewal—that allows your bank to provide consumer and small business loans more efficiently. You are right to feel some anxiety if your bank does not offer it, as the number of other banks, credit unions and fintech companies that do are growing every day. What’s more, these companies are pilfering your customers, who increasingly expect their financial institutions to provide digital options, and actively seek out companies that do. Without digital processes, the cost to underwrite a small business loan using traditional paper-based processes is approximately $3,000 to $5,000 per loan,3 rendering these loans, which are typically less than $500,000, unprofitable for most community institutions. However, using automated, data-driven underwriting technology reduces that cost to about $600 to $900,4 providing a savings of $2,000 to $3,000 per loan! With digital lending, your bank has the ability to process small business loans more efficiently and in a much more cost-effective manner resulting in more revenue, higher margins and increased profitability. Loans originated and processed using traditional paper-based methods require about 28 separate manual tasks, compared to only nine when using digital technology.4 Not only does this newfound efficiency translate into savings and profitability, it significantly improves the overall consumer experience. Borrowers can go online, fill out an application, upload documentation, e-sign paperwork and even invite their co-owners to the secure portal. The platform provides almost instantaneous decisioning capabilities, while also consolidating all of the disclosures and forms necessary to finalize the loan. Digital lending technology also significantly reduces the time and resources your bank spends on loan reviews and renewals, which notoriously require an inordinate amount of manual effort to collect the pertinent information and input it into the loan system. These increases in efficiency also allow for more effective allocation of resources such as loan officers, who no longer spend as much time shepherding deals through the loan process. For instance, your loan officers would now have time to be out in the community, meeting with small business owners who may not have time to come to your location. Your sales team could start the loan process immediately online at the business site and complete it there or later as needed. Additionally, as applications come into the platform, your bank can determine the right person to engage the business borrower, when necessary. This enables your institution to keep your sales team focused on growing your loan portfolio, creating better relationships and retention, and generating more cross-sell opportunities. Serving borrowers with digital product offerings is no longer an option; it is an imperative in order to retain and gain customers. Your customers are actively seeking digital interaction with your bank, and if you don’t offer it, many they will find an alternative provider. 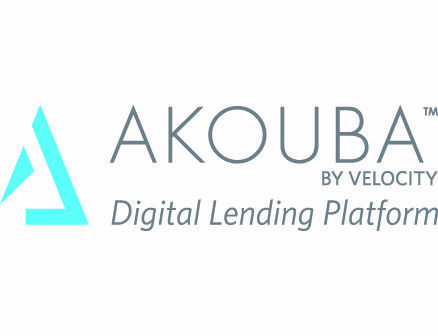 Digital lending technology facilitates customer acquisition, as your bank is able to offer more attractive rates with the inherent operating efficiencies of technology coupled with your low cost of funds. Additionally, the technology allows you to analyze customer data to identify creditworthy borrowers and engage them with targeted communications at just the right time. Digital lending technology ensures your bank meets the demands of an increasingly digital society and helps safeguard and grow your customer relationships. The technology streamlines processes to increase revenue and profitability and enhance the consumer experience. With success like that, digital lending FOMO may be real, but once you get onboard, it’s only SEP (“someone else’s problem”). 9 Oracle Report, New Digital Demand in Retail Banking, 2018. To learn more, visit http://bit.ly/2Tx6gzb.